Scar Symmetry is a melodic death metal band from Avesta, Sweden formed in 2004. In addition to the typical melodic death metal aesthetics (numerous melodies and harmonies in the guitars, growling vocals, etc. ), they incorporate synthesised sounds into their music. Their lyrics are themed towards astronomy, philosophy, mysticism and inner struggles. The band's third album "Holographic Universe" was released on June 20, 2008. The band's third album "Holographic Universe" was released on June 20, 2008. 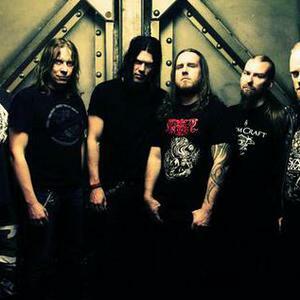 Following the release, Scar Symmetry did not embark on tours and released a statement 11 September 2008, announcing that they had parted ways with vocalist Christian &Auml;lvestam, due to touring conflicts and creative differences. On 6 October, they announced the replacements for Christian &Auml;lvestam: they will continue with two singers, Roberth Karlsson (growls) and Lars Palmqvist (clean vocals).